Kylie Jenner And Tyga Have Split For Good! Kylie Jenner and rapper Tyga have reportedly split. The 18-year-old reality star started dating Tyga, 26, in 2014 and the two have had an on-off relationship since then. According to TMZ.com, their breakup occurred before the Met Gala earlier this month. They both attended the star-studded event but didn't walk the red carpet together—a decision made by Kylie, apparently. "The two have broken up before, but this time there's no going back," a source told TMZ. The insider added that it was Tyga's attendance at the gala that riled Kylie, as he was only invited because of her and she was left "mad at herself that she didn't think to have him made persona non grata." Since their alleged breakup, Tyga was seen celebrating Mother's Day holiday last weekend by taking his mother and a female model friend to lunch. Kylie and Tyga's relationship hit headlines earlier this year when her half brother Rob Kardashian started dating the mother of Tyga's son, Blac Chyna. Blac and Rob are now engaged and expecting their first child together. In an interview in February, Tyga opened up about his views on marriage. "No time soon,” he said during a chat with Real 92.3 radio station when asked about a wedding. “I mean, we all got to walk down the aisle. I think whatever makes you happy in life, you gotta do it. You can’t plan in life too much. I love somebody a lot." 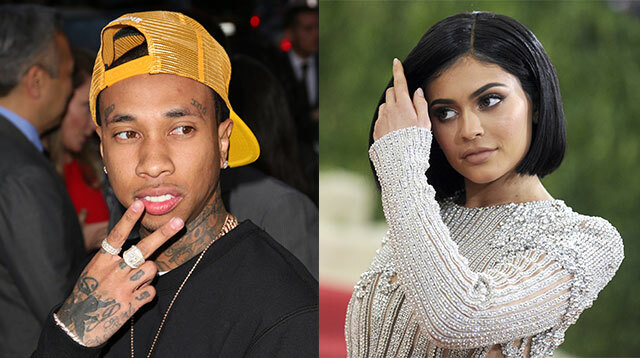 Later, as he spoke about Kylie, Tyga added: "I love that girl." Neither Kylie nor Tyga have commented on the split rumors on their social media profiles.